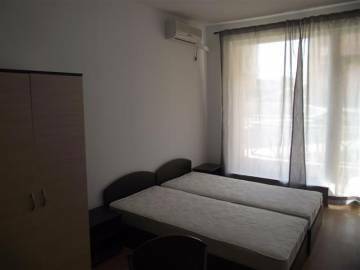 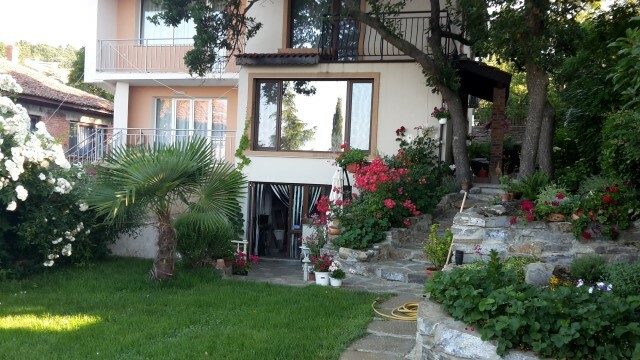 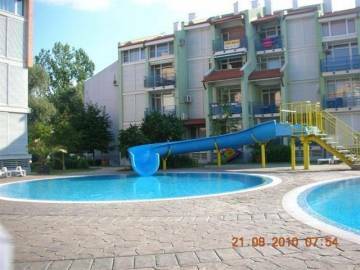 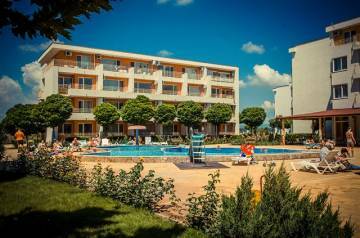 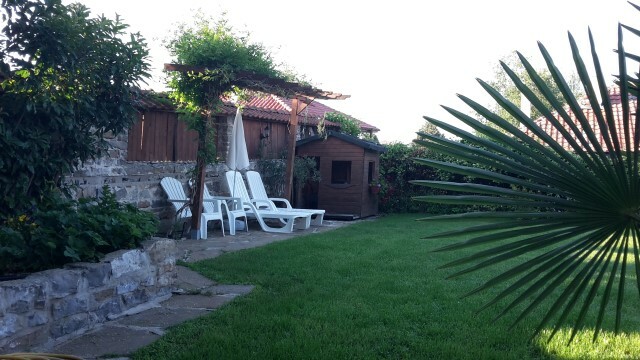 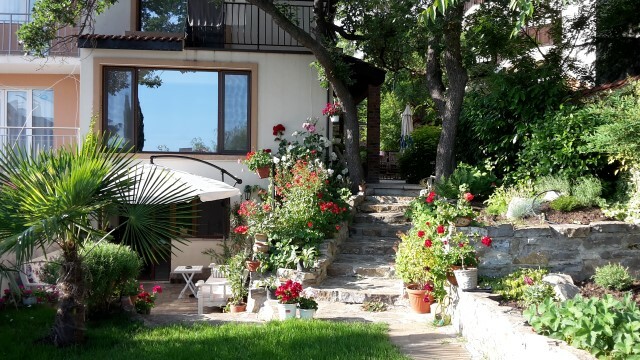 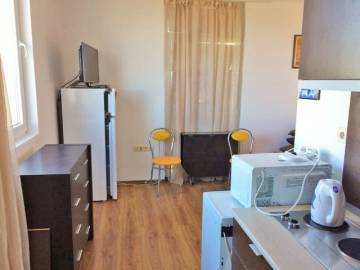 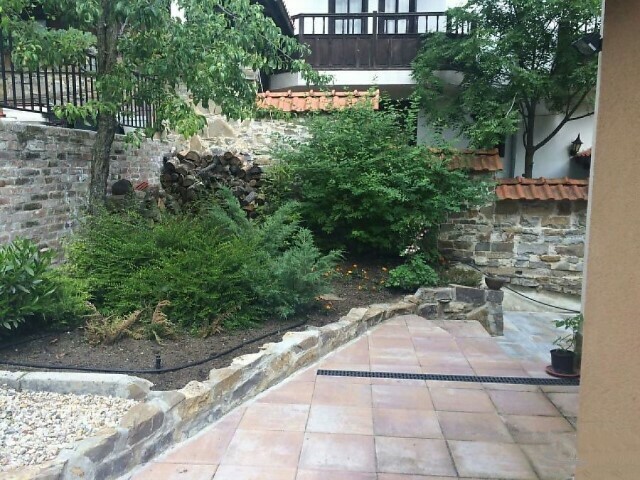 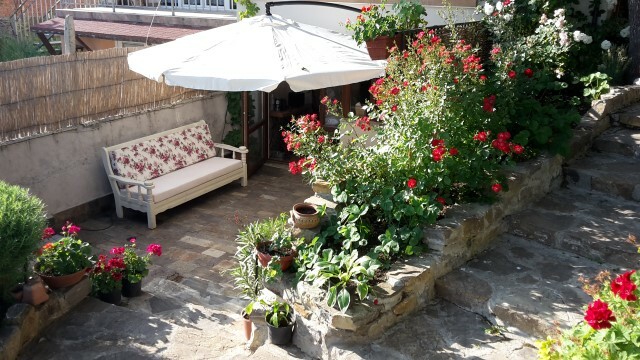 Location: The house is located only 150 meter from the beaches of Sunny Beach Resort and 35 km from Burgas city. 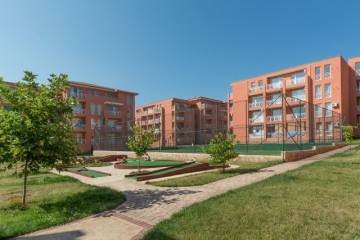 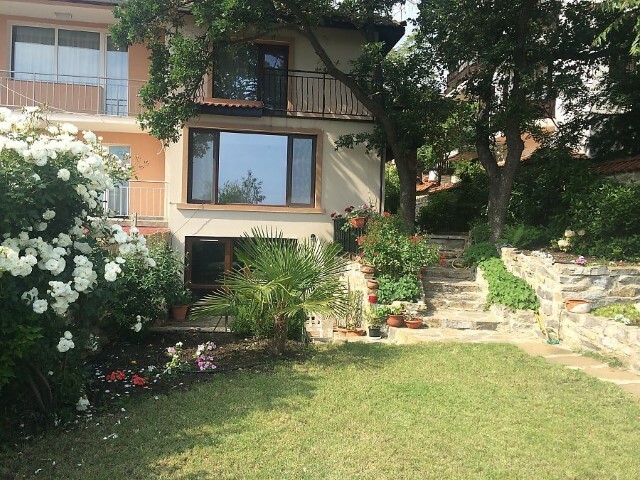 The charming town of Nesebar is nearby. 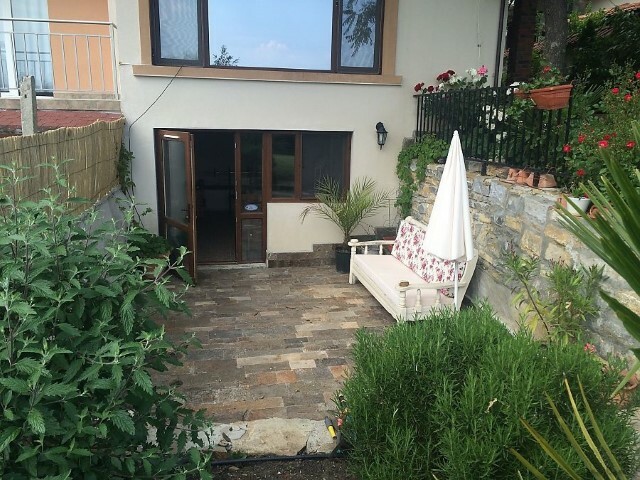 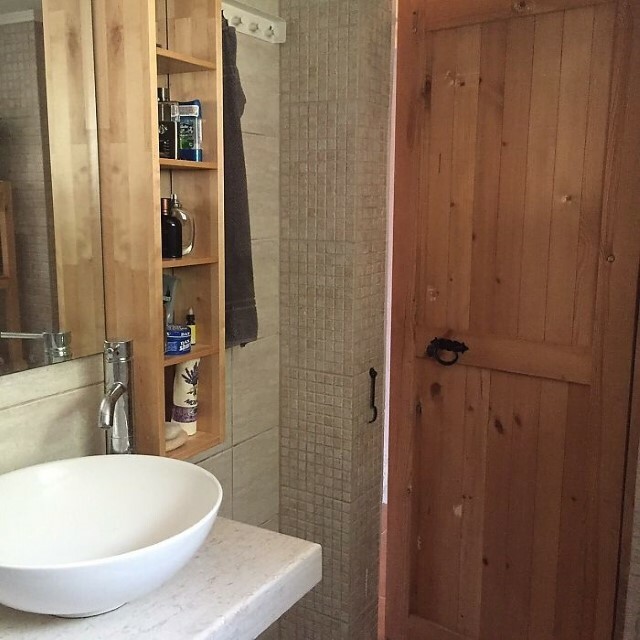 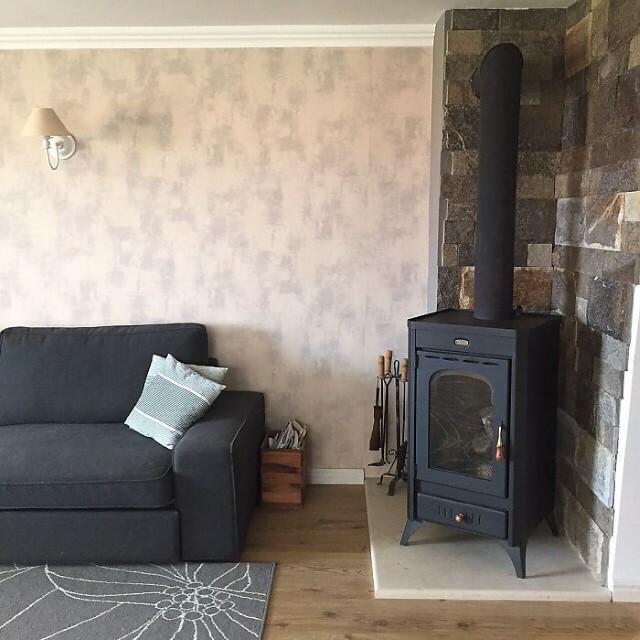 The house is accessible all year round on by asphalted street. 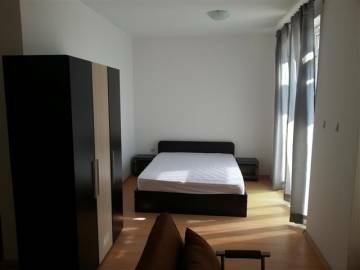 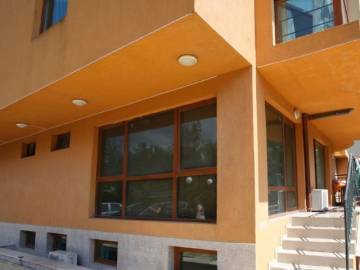 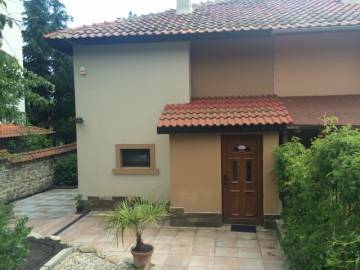 Description: We offer for sale a fully furnished, two-storey duplex house with a total built area of 130 sq.m and. Finishing works: The house is fully finished - monolithic reinforced concrete structure, external heat insullation and waterproofing, natural stone on the facade, new roof, laminated and terracotta tiled floors, latex painted walls and ceilings, PVC joinery, MDF and wooden interior doors, fully finished and equipped sanitary units, log burning stove in the living room, installed Air conditioning. 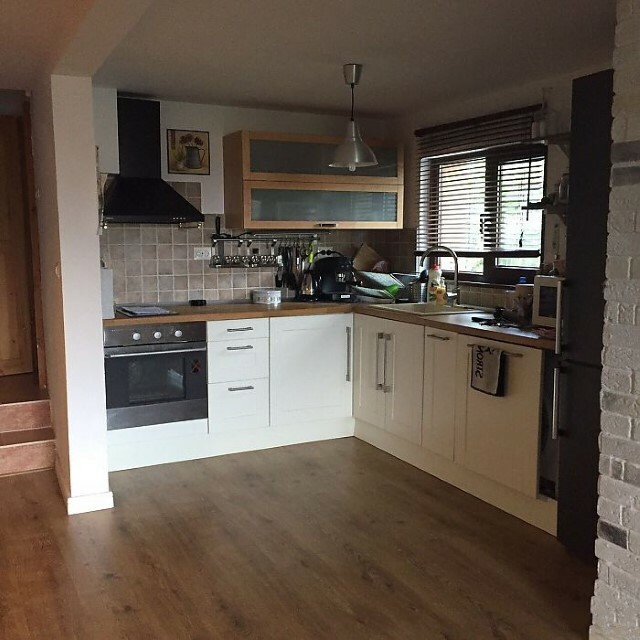 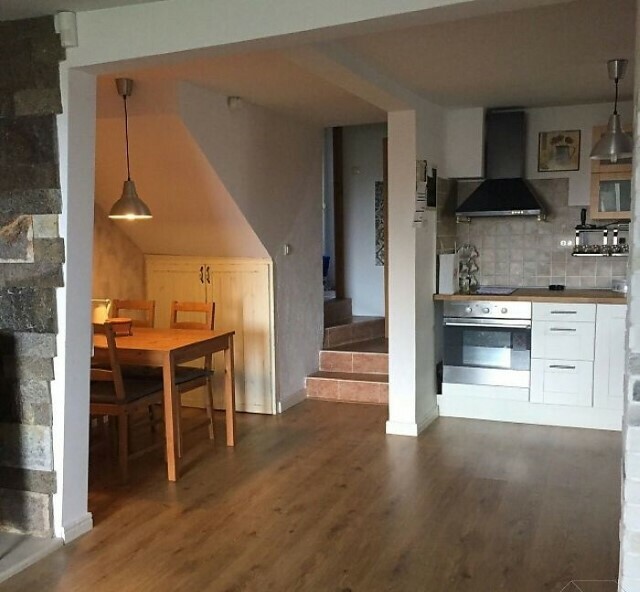 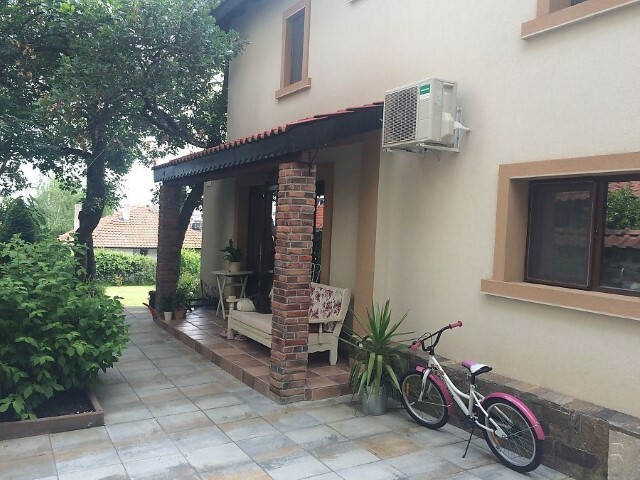 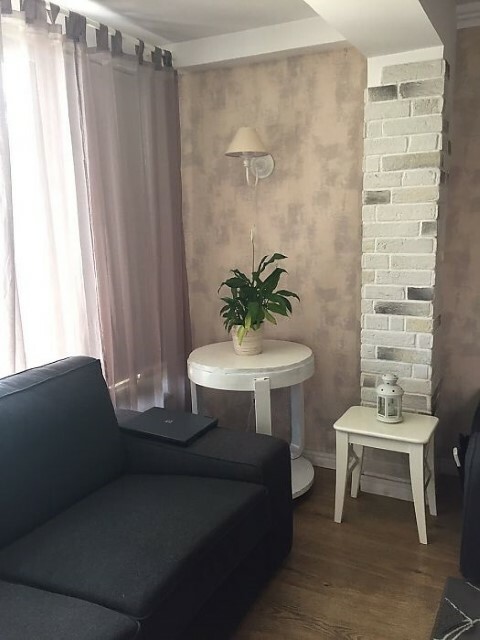 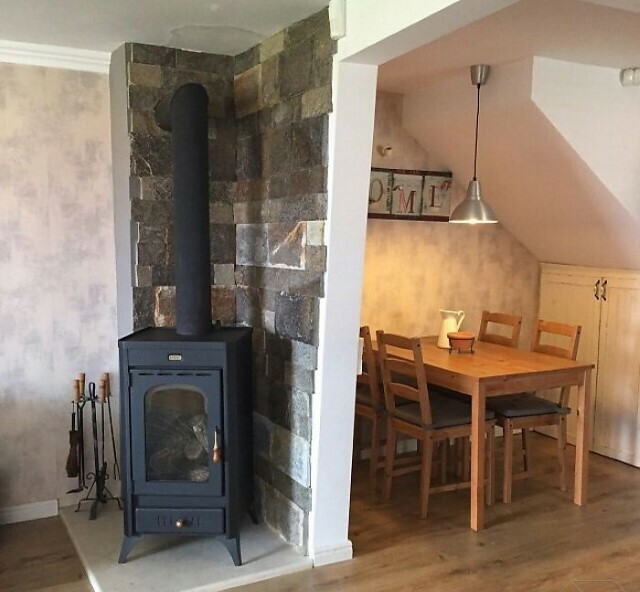 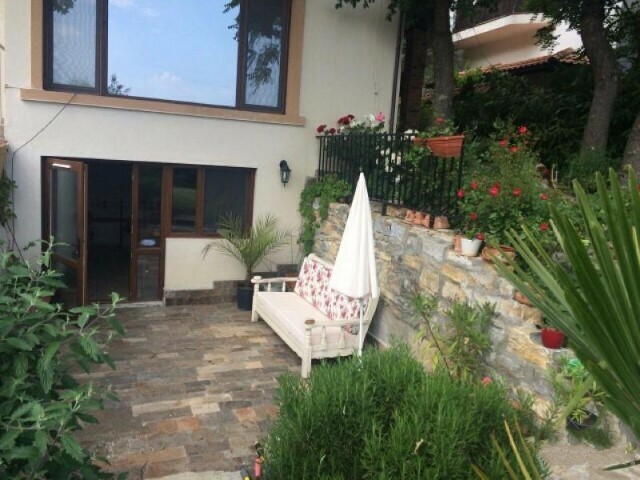 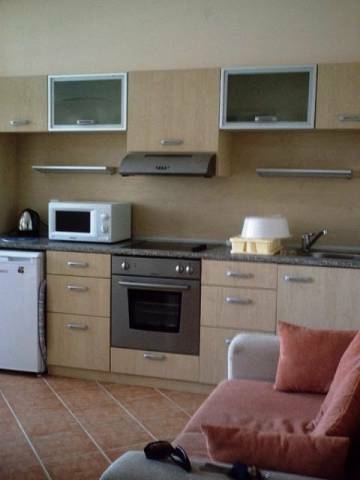 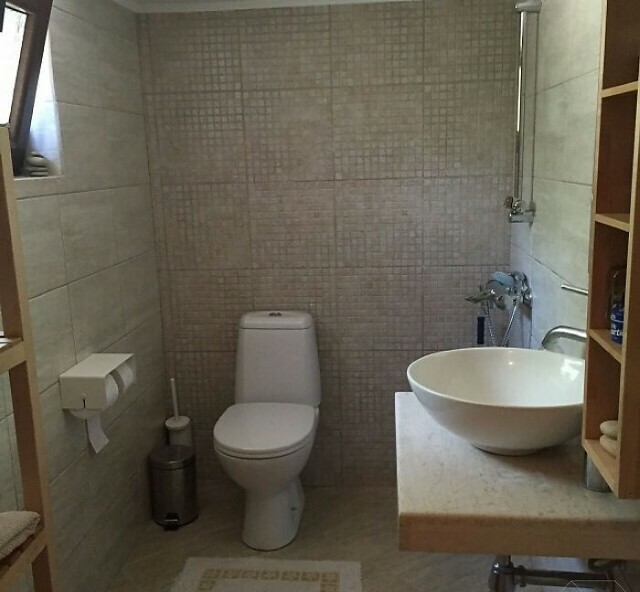 Furnishing: The house is for sale fully furnished and equipped with all electrical appliances. 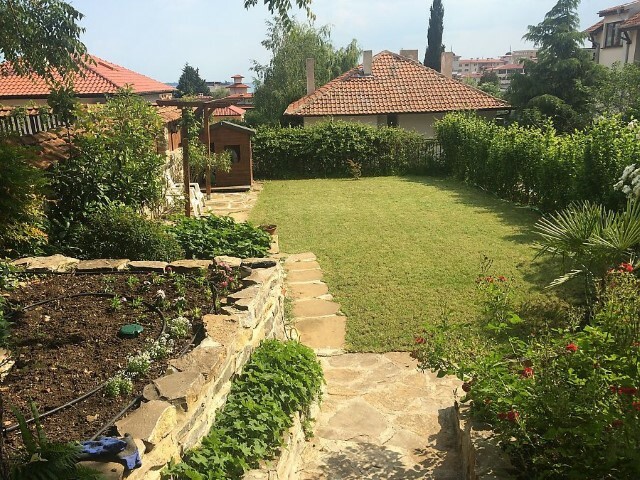 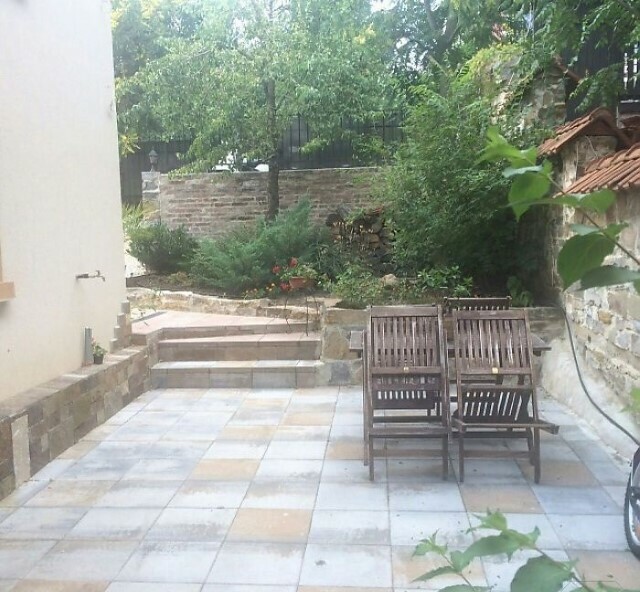 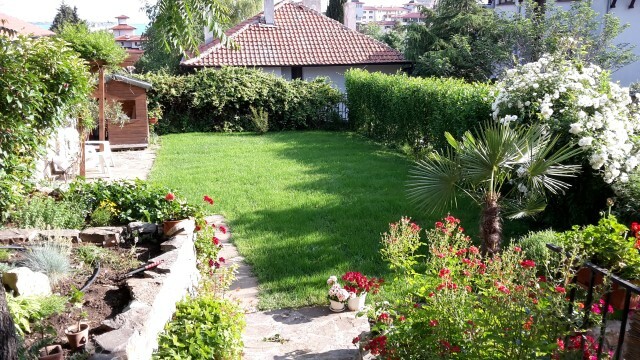 Yard: The plot of land has an area of 360 sq.m, surrounded by a solid and decorative fence. 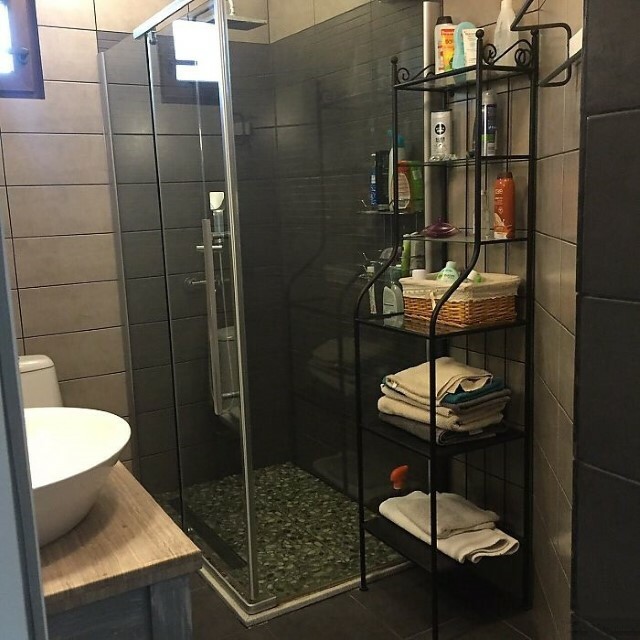 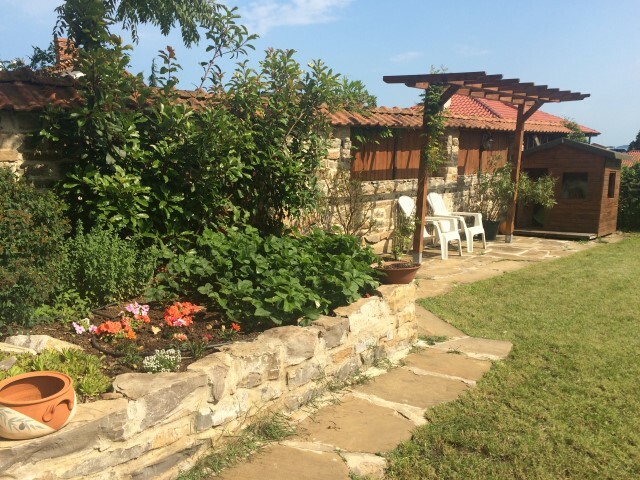 The yard is landscaped, constructed irrigation system, there is a two parking lots, shed and storage.